You want to be super productive … and also spend enough time on self-care. You want to make money, but also feel like your work is ethical and helping the world. You want to stand out enough to be noticed, but also fit in enough to feel safe. So many conflicting needs, so little time! Finding a balance in these needs and values is perhaps our greatest ongoing challenge as entrepreneurs! Our reality as small business owners, at least in the beginning, is that we feel in order to be successful, we have to do and know all the things, all the time. Our ability to multi-task, wrangle our perfectionism, and nimbly navigate the change, pressure, fear and distraction that we get dealt on a daily basis, is truly remarkable. However, it’s not long before the manic pace of doing everything in our business, and the guilt and stress of feeling like it, and we, are never enough, takes its toll. Most businesses don’t ever really get off the ground, or survive long enough to see year two, and it’s no wonder when you look at the average to-do list of the average entrepreneur! Success as an entrepreneur cannot JUST be defined by business metrics. Real success must include consideration for our success as human beings as well. To achieve the harmony between these polarities, you must start by understanding the natural forces that control them. I call these forces the 5 Laws of Entrepreneurship. On your journey towards freedom and fulfillment as an entrepreneur, these are forces that you must first understand, then manage, then optimize, and then master. This journey certainly isn’t fast, and most days it doesn’t feel very easy, but if you’re confident that you’d like to fund your freedom and fulfillment as a human, by creating and building a profitable business, then these 5 Laws are your new best friends! If you’d like to know more about these laws and how to manage them as you grow towards your version of success, then don’t miss out on this free video workshop. Learn the basics of each law, the 3 secrets that will enable you to actually get them working for you, instead of against you, and the simple steps to start with to create real growth in your life and business, fast. This is a guest post by J. Nichole Smith. I personally recommend her programs, so if you eventually purchase something from her after watching her workshop, I may receive a commission. This does not change the price to you. 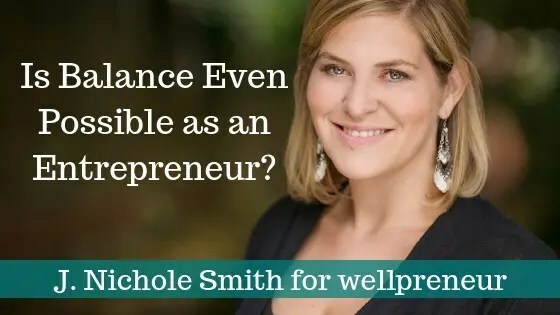 J.Nichole Smith is a branding consultant and author, who specializes in helping entrepreneurs find freedom and fulfilment by building brands instead of just businesses. Her expertise comes from a lifetime of building her own brands, helping solopreneurs and billion dollar corporations grow their impact and their revenue, and a Masters in Marketing with Distinction from one of London’s top business schools.